Hyde Park Gate, is an efficiently run and well maintained mansion block, with lift access and on site porter. Occupying over 3,600sqft this apartment comprises; a grand entrance hall, leading to library, a double reception room flooded with natural light and pretty panoramic roof top views. Four double bedrooms, two benefiting from en suite bathrooms. Two guest bathrooms, Fully Fitted Kitchen/breakfast Room. Prolific master suite, incorporating dressing room and four piece bathroom. Hyde Park Gate is located opposite the green open spaces of Hyde park, 7-minute walk from the Royal Albert Hall and an 11-minute walk from High Street Kensington tube station serviced by the circle and district lines. 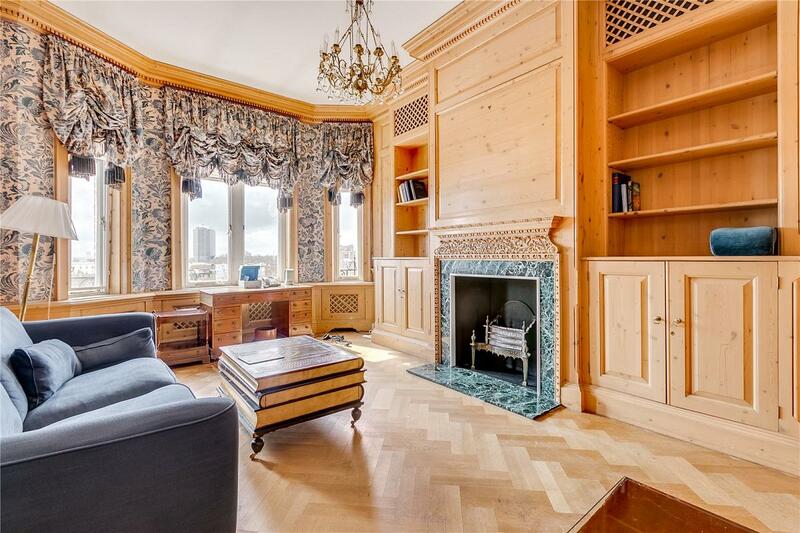 "An exceptional five bedroom bedroom lateral apartment, offering opulent period living."